There is a place in San Francisco that stole my heart, by way of my stomach. B. Patisserie. 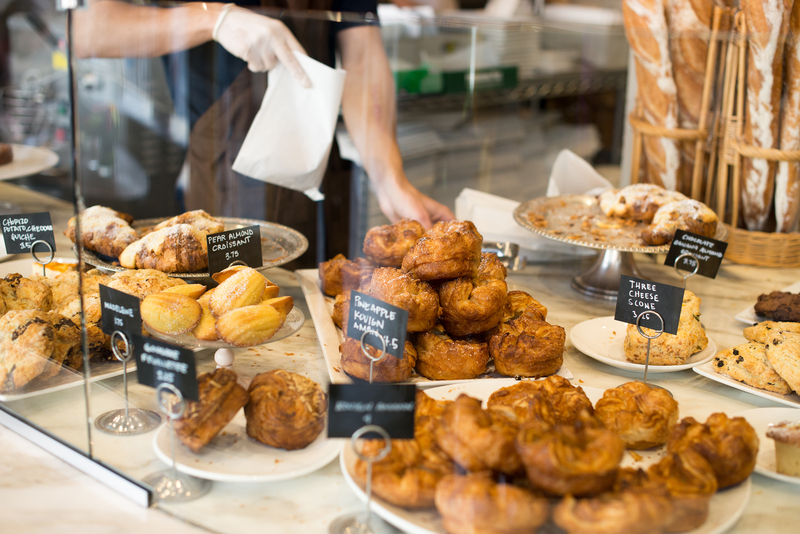 This beautiful bakery and cafe, located in the Pacific Heights neighborhood, daily creates the most gorgeous pastries and viennoiserie that you’ll see outside of France. White marble table tops, yellow Thonet chairs, and large windows that welcome in the sunshine line one side of the shop. A large white marble display case and production kitchen take up the center of the shop, allowing you to watch pastry chef Belinda Leong and her team create the stunning work that is currently on display. It’s magic. You almost forget that you are in San Francisco and not Paris. Visiting places like this are my main reason to travel and tasting such excellent work reminds me why I chose to work those long grueling hours in a pastry kitchen. The art. The flavor. The beauty. 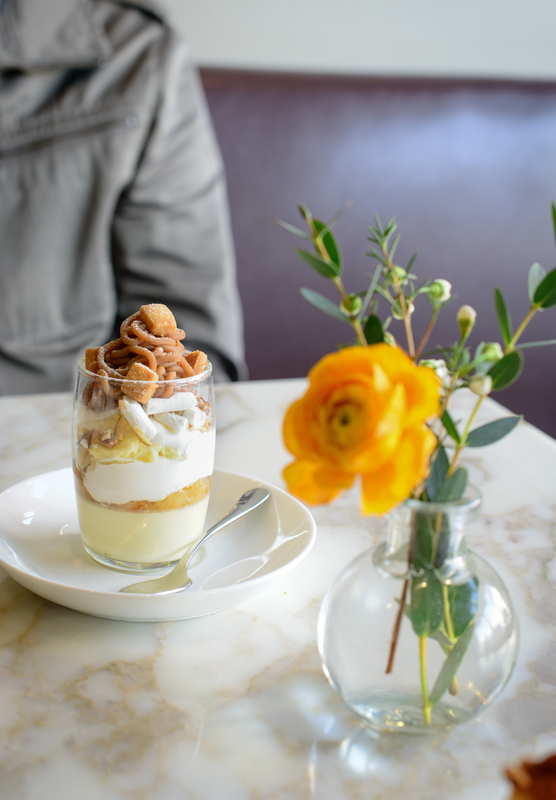 Leong is co-owner of B. Patisserie along with Michael Suas co-founder of the San Francisco Baking Institute. Before that, she spent time at Gary Danko and Manresa and staged with the renowned Pierre Hermes in Paris. It was a joy to watch her visit with customers and seamlessly move around her kitchen. 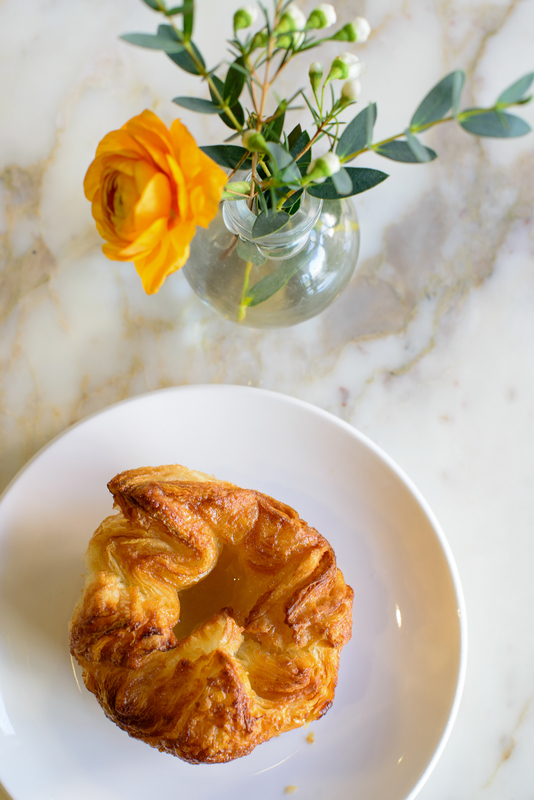 If you find yourself in San Francisco, please stop in and purchase as many kouign amann as your luggage can hold. That are that good. Haunt your dreams kind of good. I ate more pastries that I care to admit, but every one was delicious and memorable. So go, order an array of pastries, an individual pot of tea, sit and relax. A great thing about traveling and experiencing new foods is being able to try and recreate those memories at home. It’s inspiration for me and it allows me to continue to grow and to learn. 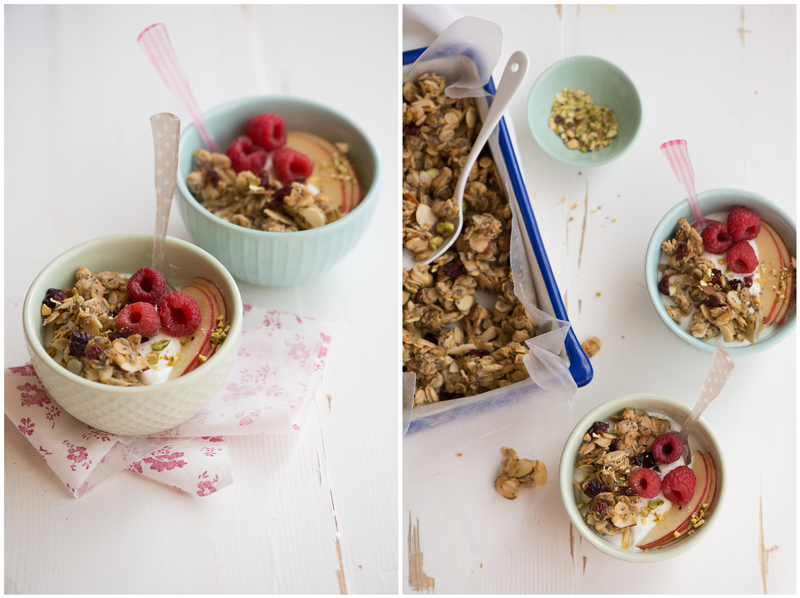 Thankfully, I stumbled across this recipe for granola from Chef Leong. There was a time that I thought granola was dry and lifeless, but I’ve since seen the error of my ways. Granola is about using the ingredients that you love and playing with contrasting flavors and textures. 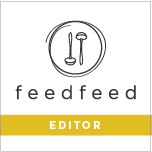 This Almond Poppy Seed Granola is outstanding as it is, but feel free to add any other nuts or dried fruits that you may like to this recipe. Play around and find what you like best. 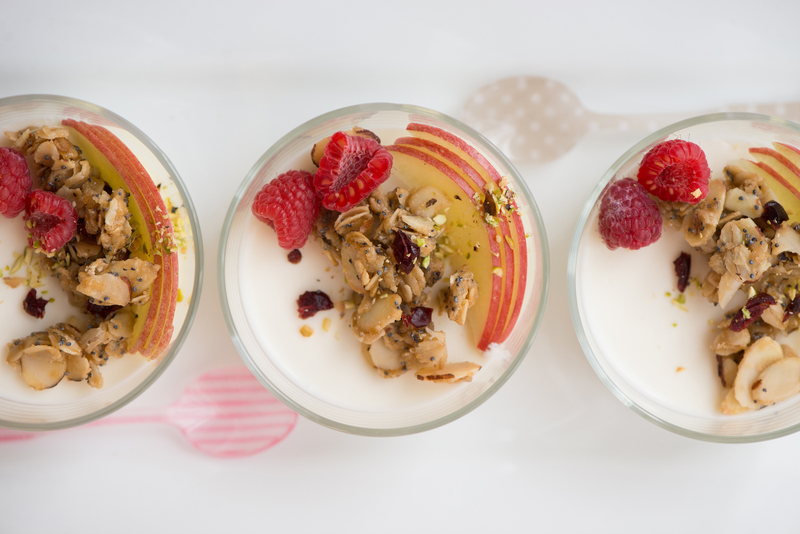 You can enjoy this for breakfast with creamy yogurt, an afternoon snack, or pair it with a Greek yogurt panna cotta for a special after-dinner dessert. Preheat your oven to 300° and line a rimmed baking sheet with parchment paper or a Silpat. In a large bowl, mix the rolled oats with the almonds, pistachio and cherries if using, flour, brown sugar, poppy seeds and salt. In a small saucepan, melt the butter in the maple syrup. Add this to the oat mixture and stir until thoroughly coated. Spread the granola on the prepared baking sheet. Bake the granola in the center of the oven for 10 minutes. Stir the granola, then drizzle the honey over the top. Bake for 20 minutes longer, stirring once more, until golden and nearly dry. Turn off the oven and prop the door open halfway. Allow the granola to cool completely in the oven, stirring occasionally, before serving. The granola can be stored in an airtight container at room temperature for up to 3 weeks. Recipe adapted from Food & Wine.